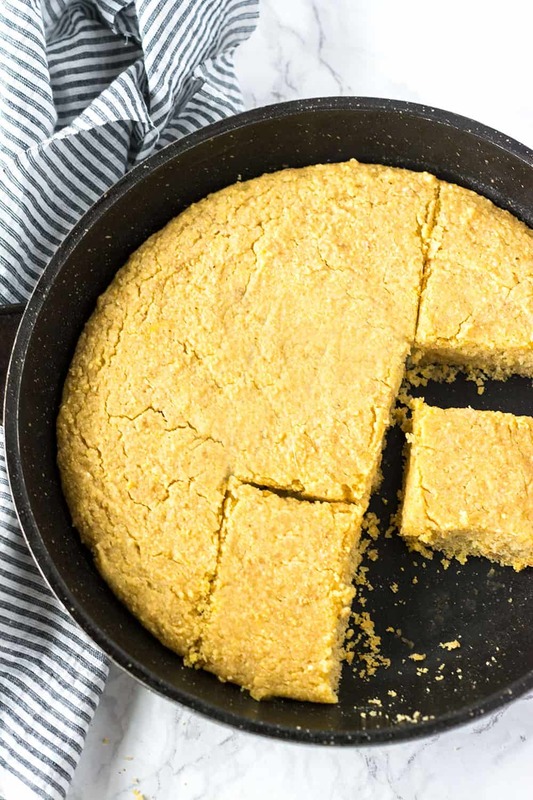 This is the best Vegan Skillet Cornbread recipe ever. 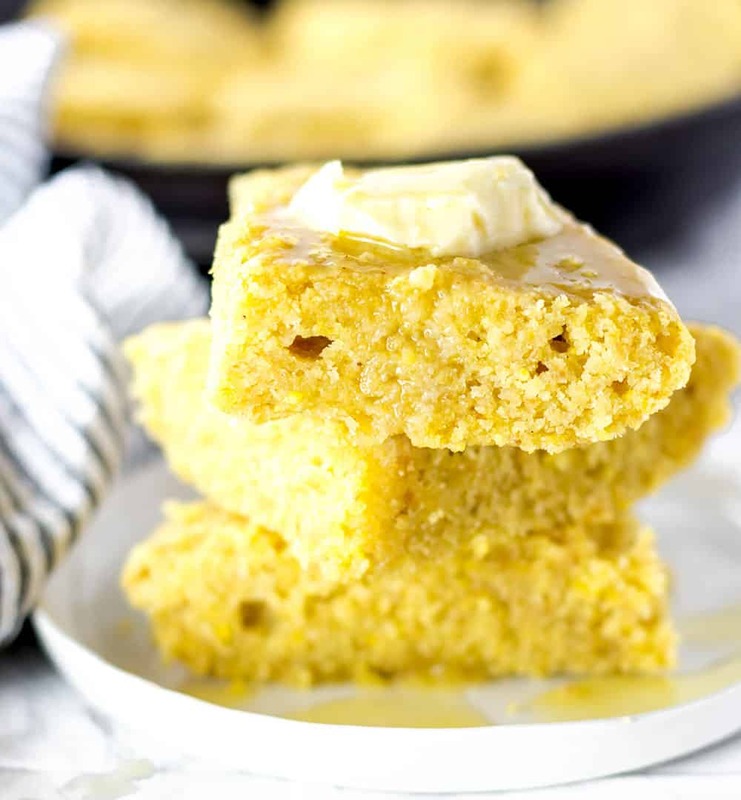 It is so moist, slightly sweet and tastes just like traditional cornbread without the dairy. 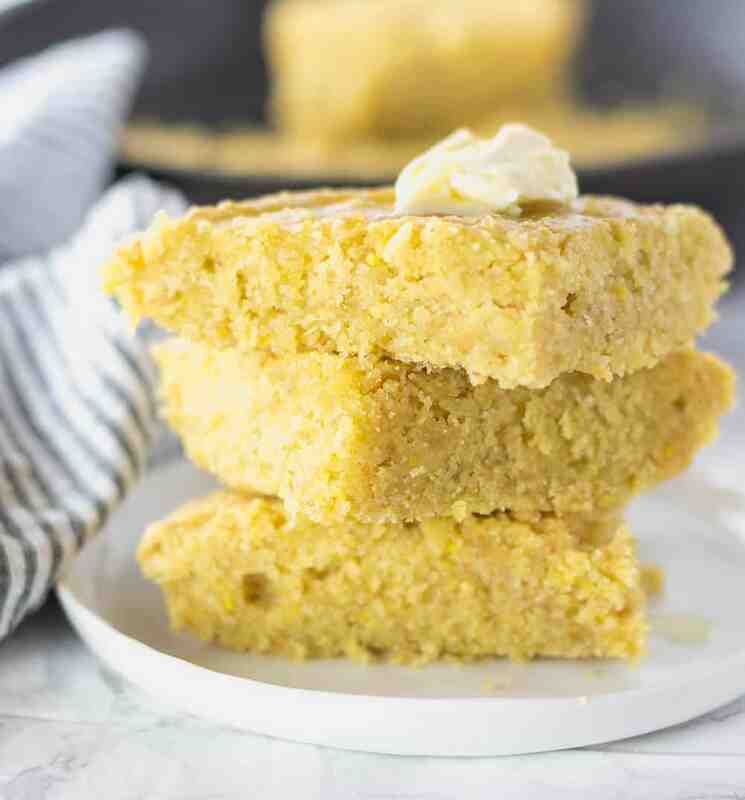 It will be the only vegan cornbread recipe that you will ever need. 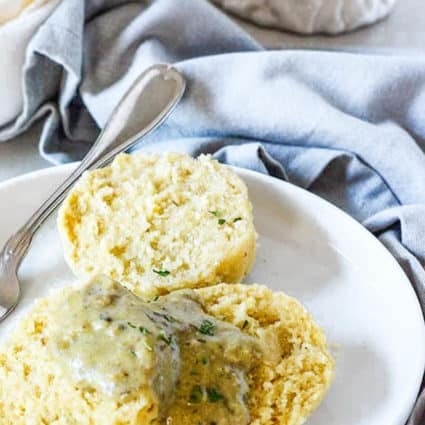 Vegan Skillet Cornbread is delicious served alone or with chili, Vegan Gumbo recipe and a side of my Southern Mixed Greens. Growing up in Jamaica hot cornmeal porridge was a staple for us. Somehow, the corn on the husk there was very hardy, not like the soft sweet corn sold here in the USA. Corn was also enjoyed there in soups and roasted on open untreated charcoal fire pits. As a dessert, we had cornmeal pudding which is a very dense, moist and rich cake. It was made with coconut milk, spices like nutmeg, cinnamon, vanilla, allspice (I will share my version soon). 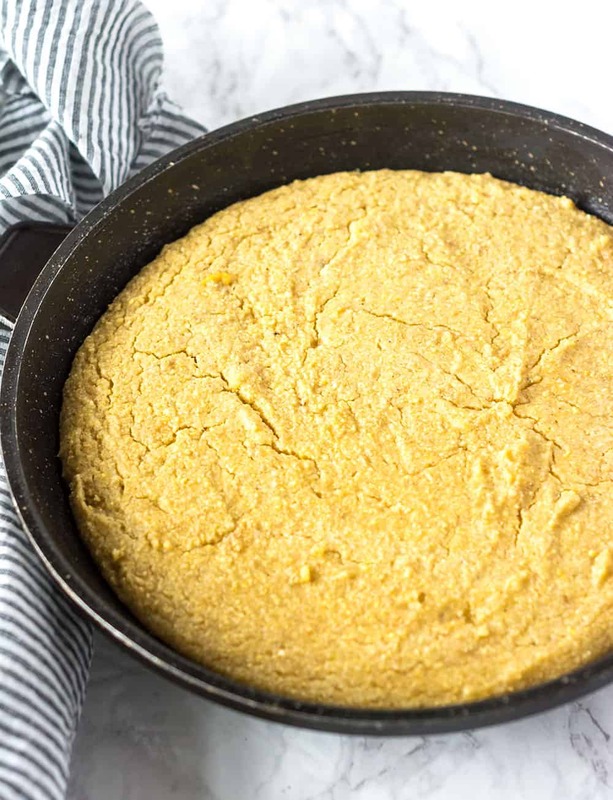 Vegan Skillet Cornbread is so easy to bake in a skillet, Basically, mix wet ingredients in a bowl along with ground flaxseeds, mix dry ingredients in another then combine both wet and dry ingredients. Scoop batter in a lightly greased skillet and bake in a preheated oven. Back to the recipe, this is the best vegan cornbread I have ever had, it is so moist and delicious. I used melted Earth Balance Buttery Spread but you can try coconut oil. For the oat flour, I processed rolled oats in my high-speed blender. For the almond flour, I used Bob's Red Mill brand. The skillet I used it the Eurocast Professional Cookware. 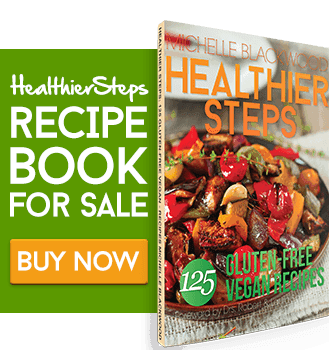 If you make this Vegan Cornbread, snap a photo and hashtag #healthiersteps — we love to see your recipes on Instagram, Facebook & Twitter! Preheat oven350. Lightly oil skillet and set aside. Mix non-dairy milk, melted non-dairy butter, and ground flax seeds in a medium bowl and set aside. In a large bowl, combine cornmeal, oat flour, almond flour, sugar, baking powder, and salt. Stir wet mixture into dry until fully combined. Scoop batter into skillet and bake for 30 minutes or until golden and fork inserted into the center comes out clean. 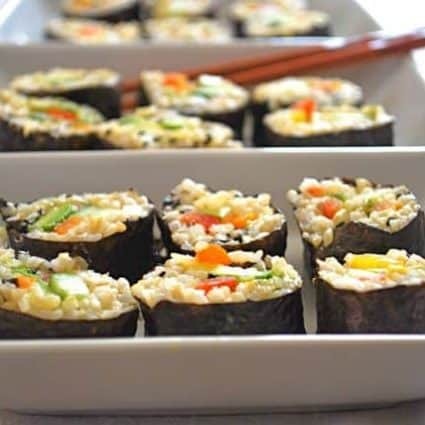 What can i substitute for the oat flour. Hello Desiree, I believe any gluten-free flour blend would work if you are on a gluten-free diet and if not, all-purpose flour will be fine. Just bear in mind that I haven’t tried it with these flours that I mentioned. If it works for you, I would love to know. Don’t forget the book order please? 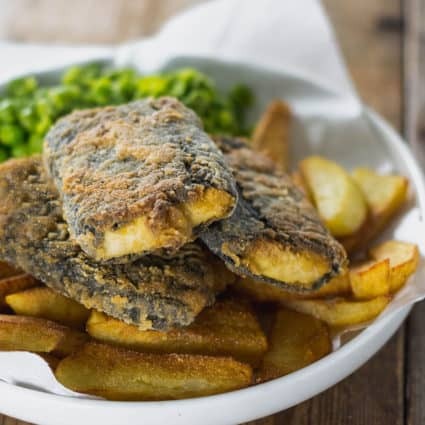 This recipe sounds amazing, I will be making it this weekend. I have been getting scammers calling me as well. 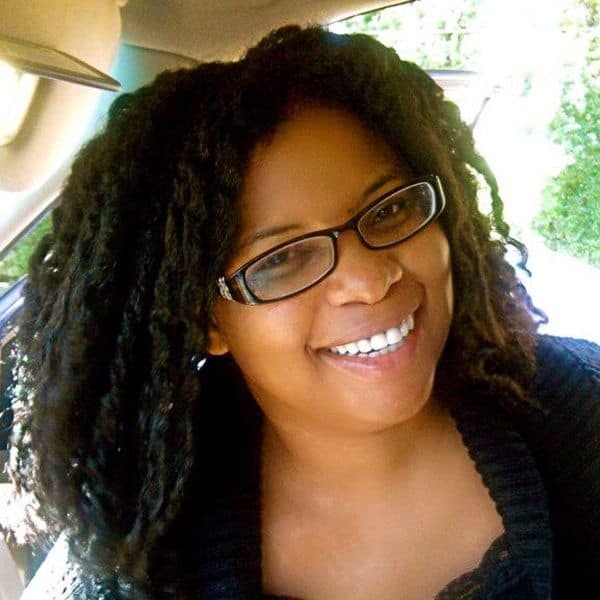 Awesome Heather, hope you enjoy. Be careful with these callers.